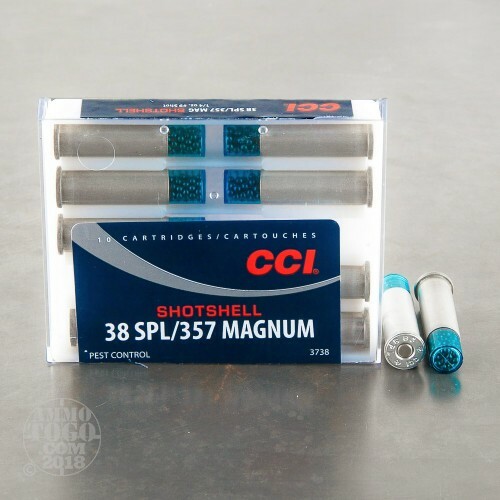 These shotshell cartridges are great for pest control or dedicated snake duty with your favorite wheel-gun chambered in .38 Special or .357 Magnum. 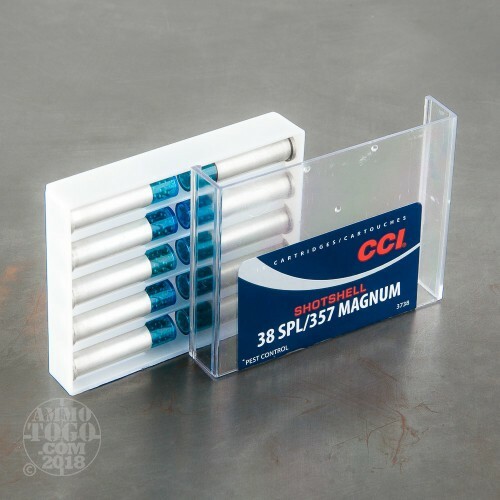 Each round consists of an non-reloadable aluminum casing fitted with a non-corrosive Boxer primer at its base an a transparent capsule at the top in place of a conventional projectile. 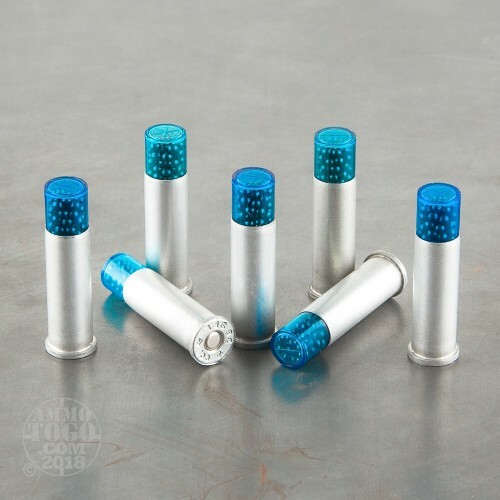 The light blue capsule contains 100 grains of #9 size shot pellets which offer appropriate penetration into snakes and even small game at close range. When fired, the flexible rear of the capsule expands in order to make the most efficient use of propellant gases while also preventing any shot pellets from being left behind. The plastic material is shredded by conventional barrel rifling and releases the shot pellets at the perfect rate instead of breaking prematurely and spilling out of the barrel. Shooters need not worry about excess fouling as the plastic material is easily removed by traditional cleaning solvents. 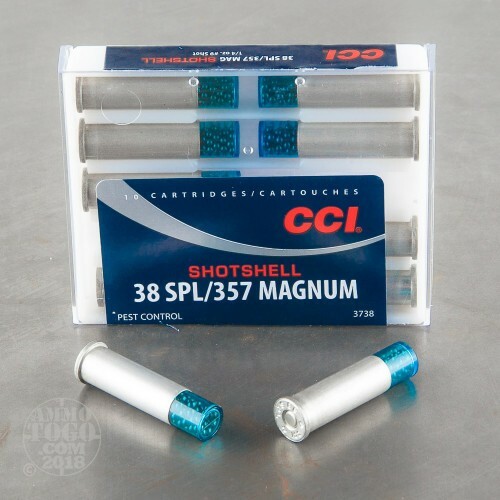 CCI is well known for their brand of reliable component primers which are utilized by various ammo companies including Speer and Federal.